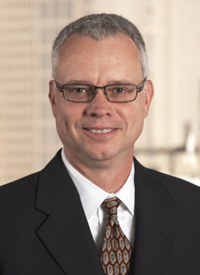 James K. Folker | Greer, Burns & Crain, Ltd.
James K. Folker is a partner with GBC Chicago, and has been with the firm since about a year after it was founded. His intellectual property law practice focuses on patent prosecution, including drafting new patent applications and prosecuting applications originating in foreign countries. During his career, Jim has prosecuted hundreds of patents in a variety of technical fields such as liquid crystal display (LCD) devices, magnetic disc drives, optical disk drives, magnetic and optical recording media, power tools, fluid valves and medical devices, including orthopedic implants and surgical tools. Jim has also argued, and won, numerous oral arguments in front of the Board of Patent Appeals and Interferences at the Patent and Trademark Office, and has worked on several interferences. In addition, he regularly provides opinions on patentability and infringement issues. Prior to joining GBC, Jim spent more than three years employed as a Patent Examiner with the United States Patent & Trademark Office (USPTO). His experience as a former Examiner has aided him greatly while interacting with the Examiners in charge of applications that he is prosecuting, as it has given him an insider’s view of the examination process. Jim received a J.D., with Honors, from the Chicago-Kent College of Law of the Illinois Institute of Technology, where he was a member of the Chicago-Kent Law Review. Prior to law school, Jim earned a Bachelor of Science Degree in Mechanical Engineering from the College of Engineering of Rutgers University, and worked as a Project Engineer with a major manufacturer of consumer products.